The Sanford Consortium for Regenerative Medicine is a stem cell research facility representing a collaboration between five of San Diego’s finest research institutions: Sanford-Burnham Medical Research Institute, The Salk Institute, The Scripps Research Institute and the University of California, San Diego, and the La Jolla Institute for Allergy and Immunology. 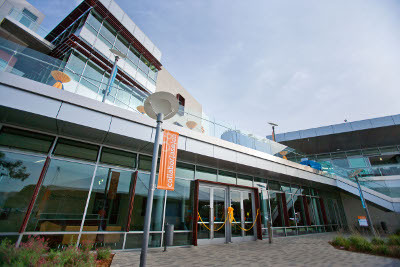 This new “collaboratory” opened in November of 2011, ideally located between the institutions in La Jolla, and demonstrates the power and potential of working together to fight disease. 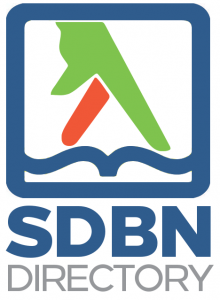 At our SDBN event August 21st, Evan Snyder, M.D., Ph.D., director of Sanford-Burnham’s Stem Cell and Regenerative Biology Program and member of the Sanford Consortium, will give a brief overview of cell-based therapies underway at the consortium. We’ll also hear from our Premier Sponsor Stemgent, and as usual there will be plenty of time for networking on the patio with a view the ocean (the sunset is at 7:28 p.m.that night, we’re timing our event so you can see it). It will be a great event for those interested in stem cell and regenerative research, as well as those who want to learn more about this pioneering technology in which California is at the forefront. Click here to register, and note that our prices for this event are lower thanks to the generosity of the Sanford Consortium in waiving some fees. We still have sponsorship openings, contact us for more details. Speaker:Evan Snyder, M.D., Ph.D., director of Sanford-Burnham’s Stem Cell and Regenerative Biology Program and member of the Sanford Consortium, will give a brief overview of cell-based therapies underway at the consortium. When: Tuesday, August 21st 2012, 5:30-8:30 p.m. Cost: $15/10 (Academic), dinner and drinks provided. Directions: From the 5, exit Genesee heading west, travel for a little less than a mile, then turn left on North Torrey Pines Road. Travel for a little less than a half mile, and the Sanford Consortium will be on your right (west) at the corner of Torrey Pines Scenic Drive. Parking will be free in the West lot after 5:00 p.m., the gate will open upon approach. The event will be on the patio on the second floor, take the outside stairs or there is an elevator inside the lobby on the right. Photo courtesy Mark Dastrup, it was taken of the Sanford Consortium for the grand opening in November 2011. Special thanks to Heather Buschman, Scientific Communications Manager for Sanford-Burnham and Editor of the Beaker blog, for helping organize this event.